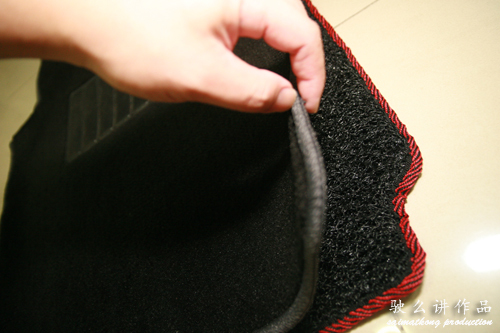 Chinese New Year is the time for families and friends to get together, eat, drink & be merry. 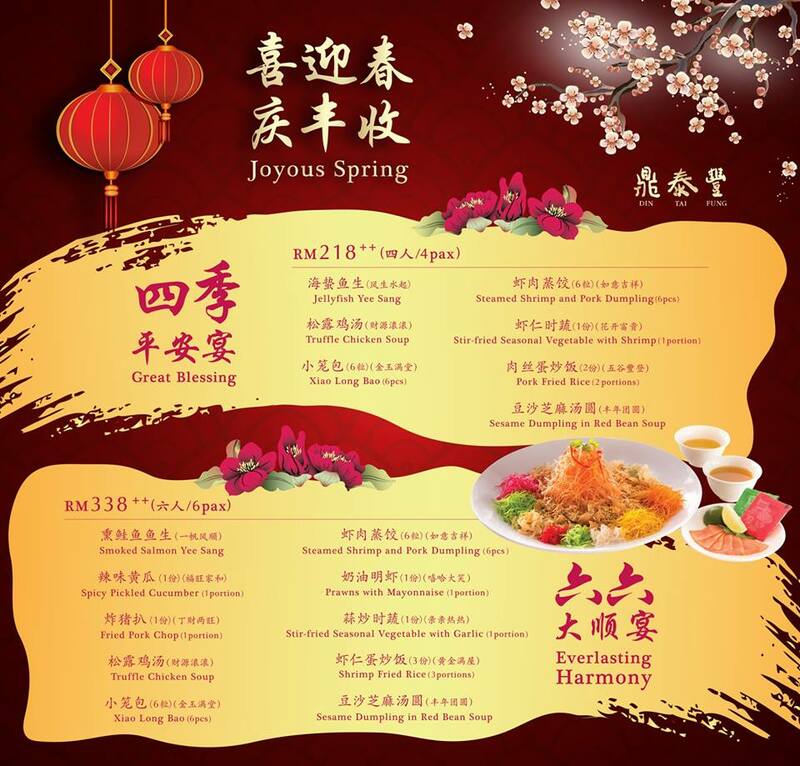 To celebrate the Spring Festival, many Chinese restaurants offer attractive Chinese New Year set menus coz these days people would prefer eating outside during festive period 🙂 Though the Lunar New Year 2015 is about 2 weeks away, I’ve been eating non-stop, celebrating with friends and trying out numerous Chinese New Year set menus at different chinese restaurants, one of which is at Din Tai Fung (鼎泰豐); a Taiwanese restaurant specializing in Xiao Long Bao and a variety of Taiwanese cuisine. 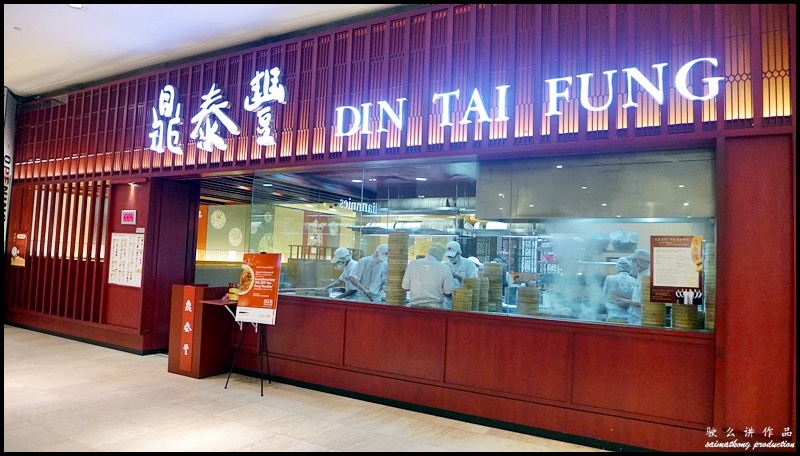 Din Tai Fung (鼎泰豐) outlet at Pavilion KL. 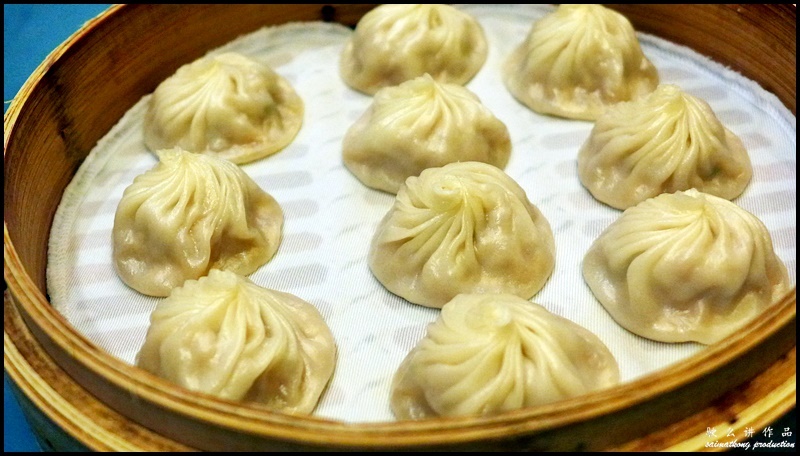 Din Tai Fung (鼎泰豐) branch at Pavilion KL has been voted as the top Chinese restaurant in Kuala Lumpur by TripAdvisor. 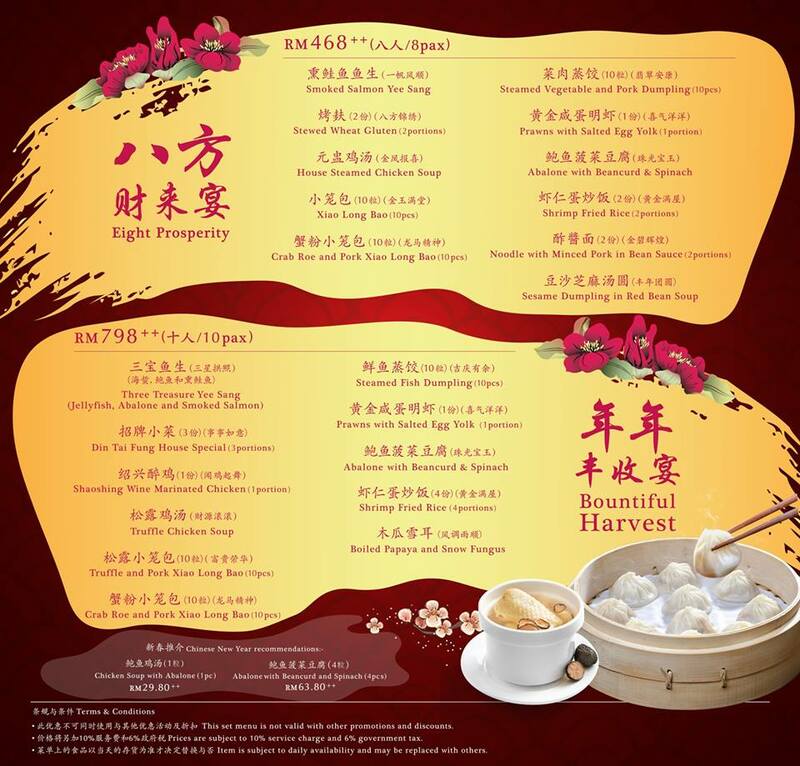 To usher in the Year of Goat, Din Tai Fung is offering 4 choices of Chinese New Year Set Menus namely Great Blessing, Everlasting Harmony, Eight Prosperity & Bountiful Harvest with prices ranging from RM218++ for 4pax to RM798++ for 10pax, available at Din Tai Fung outlets at Pavilion, The Gardens Mall, Empire Shopping Gallery, 1Utama Shopping Centre and eCurve from now till March 5. 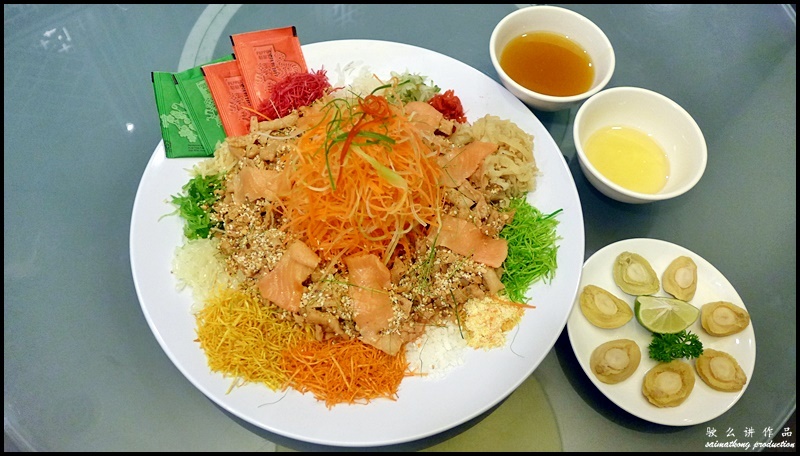 One of the dish that everyone look forward to during Chinese New Year is the Yee Sang or also known as the Prosperity Toss. 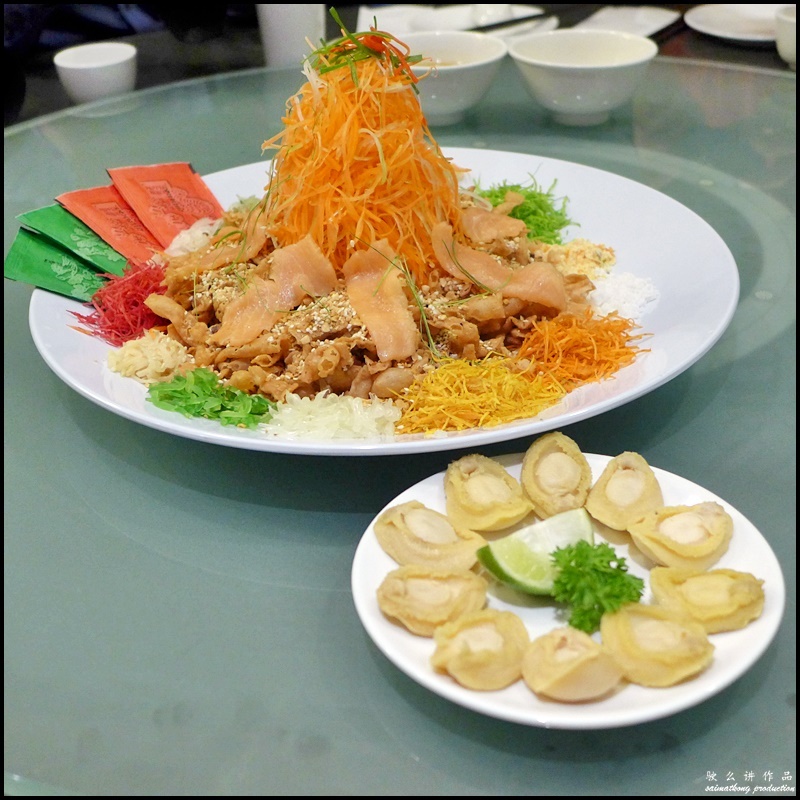 The Yee Sang at Din Tai Fung is special coz it has three treasure — abalone, smoked salmon & jelly fish to be tossed together with other ingredients such as shredded yam, cucumber, carrot, radish, pomelo, pickled vegetables, peanuts, sesame seeds, crackers and etc. 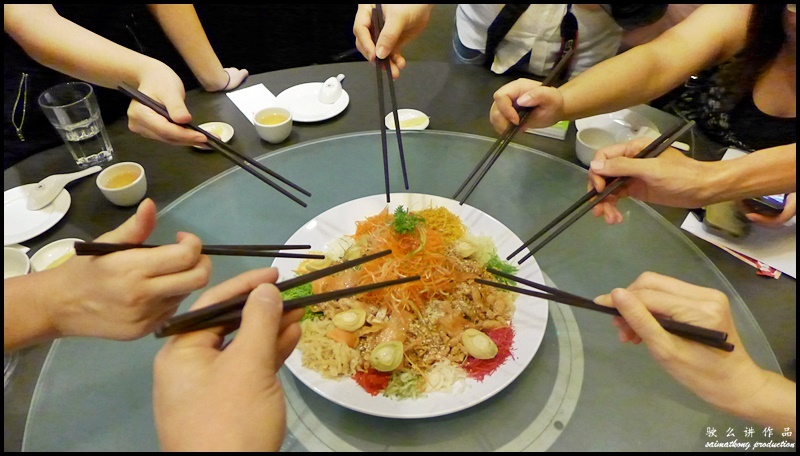 Arming ourselves with chopsticks and getting ready to toss the Prosperity Salad “Yee Sang” up in the air. 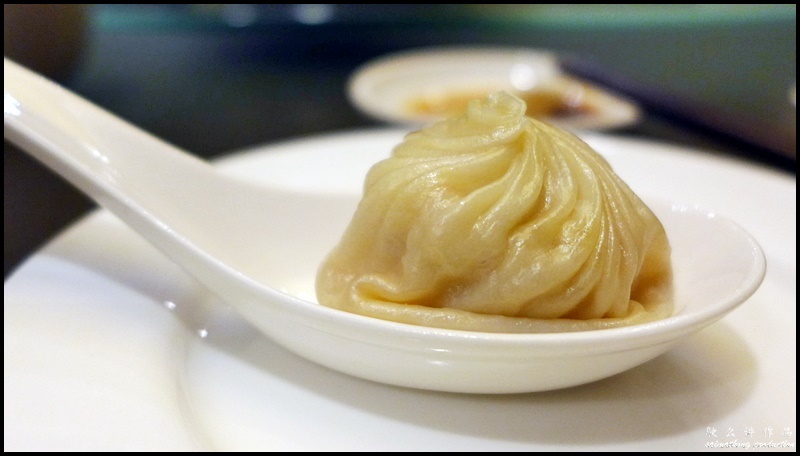 To start it off, we had Din Tai Fung House Special Spicy Pickled Cucumber which has both spicy and tangy flavor that can wake up taste buds. 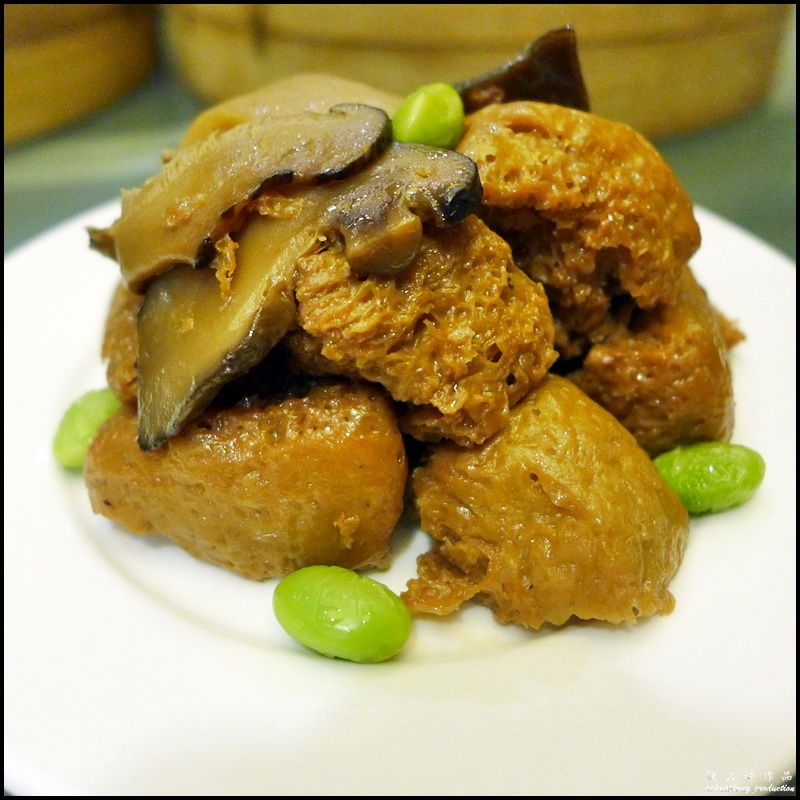 Stewed Wheat Gluten is a healthy vegetarian dish which consists of beancurd, shiitake mushroom and edamame beans. 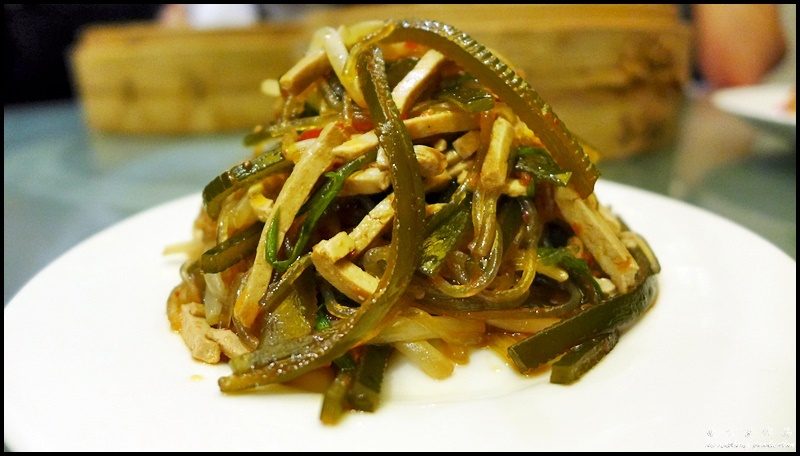 The Shaoshing Wine Marinated Chicken is a cold dish. 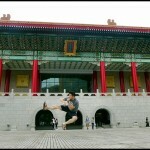 The chicken is tender and juicy with a hint of subtle flavor from the shaoshing wine. 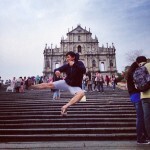 As a Cantonese, I love soup very much. 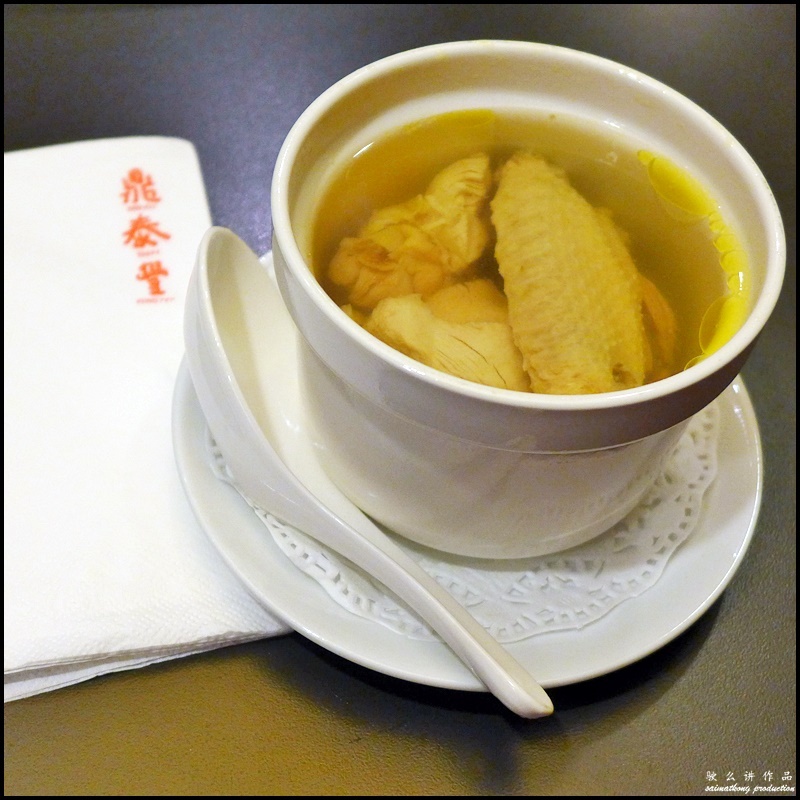 The steamed chicken soup at Din Tai Fung is boiled for long hours and the result is a very rich and flavorful chicken soup. Yums! 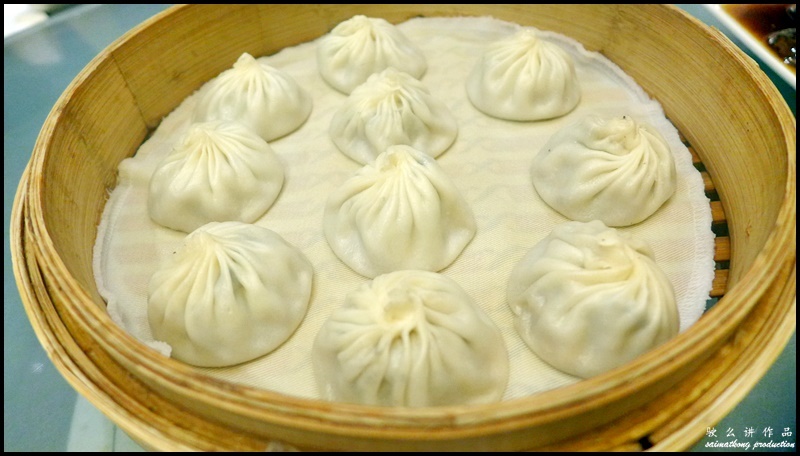 Din Tai Fung is well-known for its xiao long bao and besides its signature original pork xiao long bao, Din Tai Fung also offer other flavors which include chicken xiao long bao, crab roe and pork xiao long bao & truffle and pork xiao long bao. 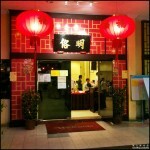 The main attraction of the night is definitely the Prawns with Salted Egg Yolk. 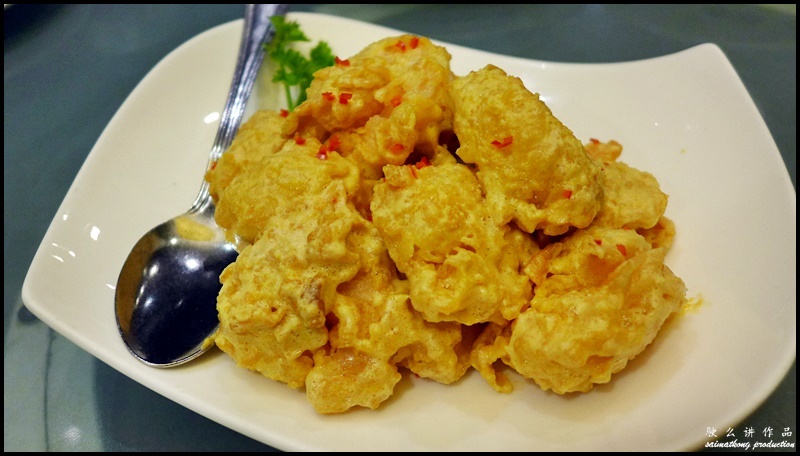 The fresh prawn is coated with salted egg yolk and then fried to perfection before tossed with a creamy buttery sauce. 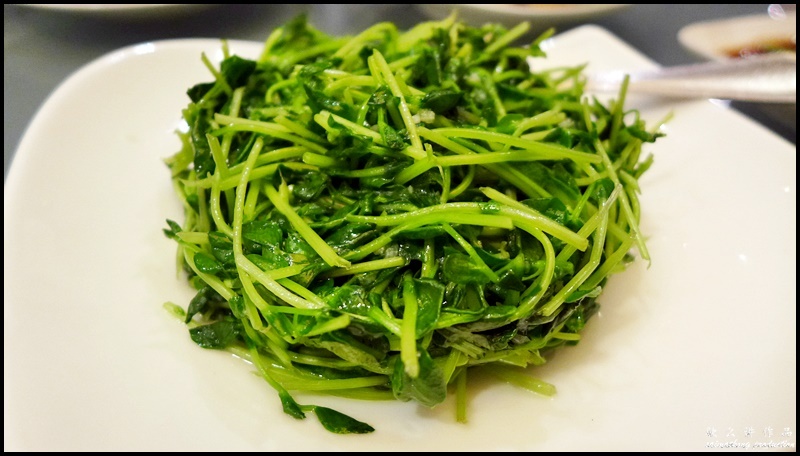 This carb-laden dish is very delicious and I think its worth the calories! 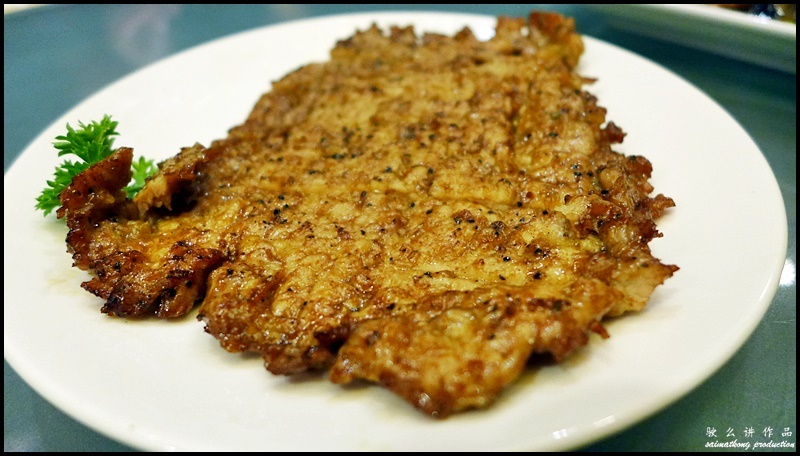 The fried pork chop at Din Tai Fung is made of lean pork meat and marinated well with 5 spice powder. 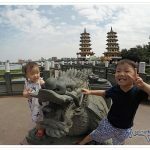 The meat is juicy, tender and very flavorful. 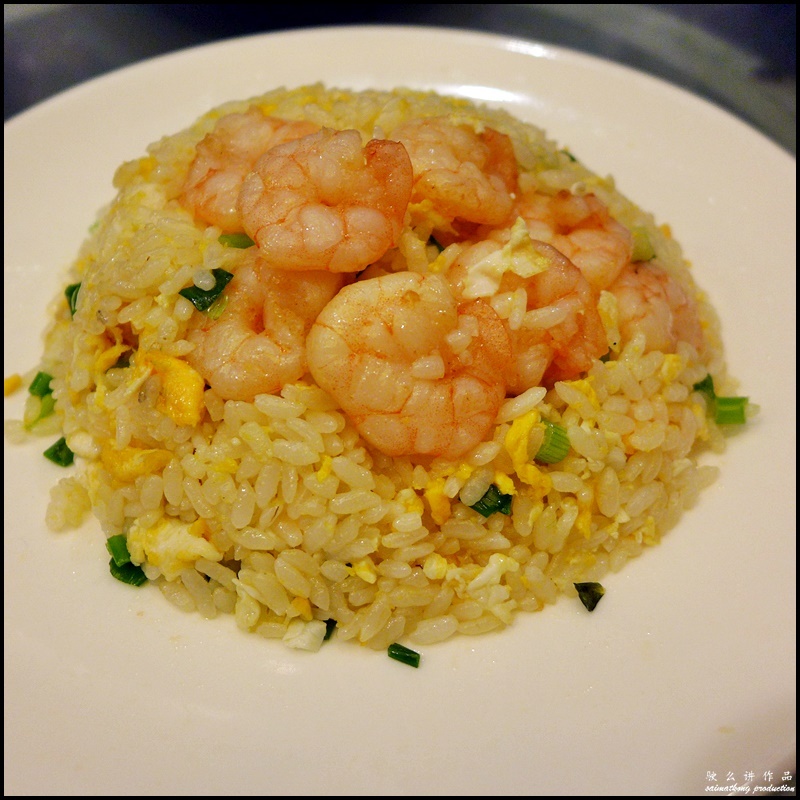 The Shrimp Fried Rice is one of my must-have at Din Tai Fung. 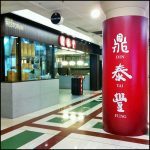 The fried rice which is topped with fresh prawns has ingredients like spring onions and the rice is evenly coated with egg yolk. 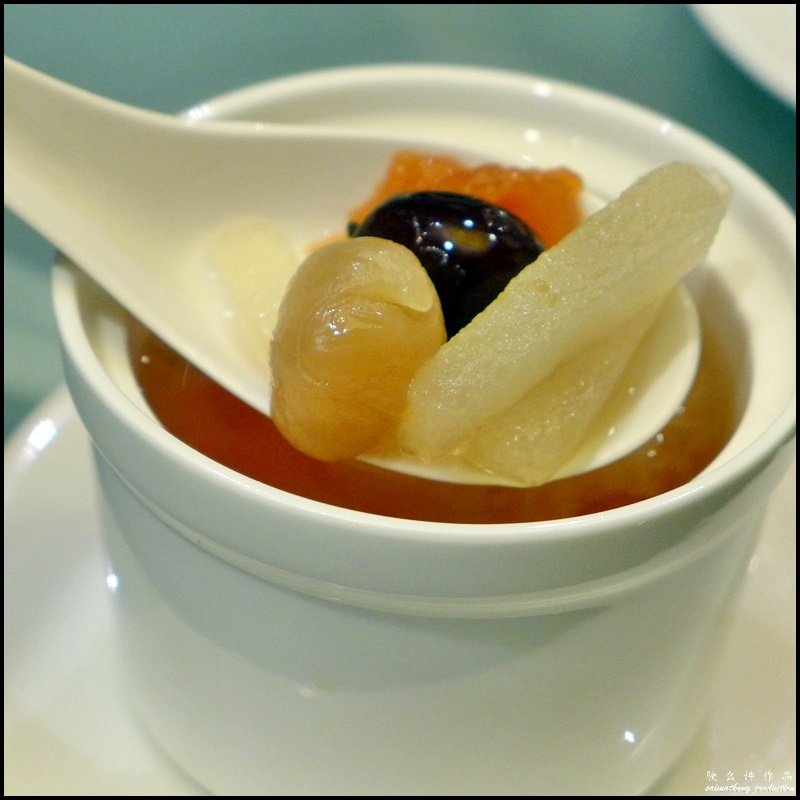 Dessert is the best way to end your meal. 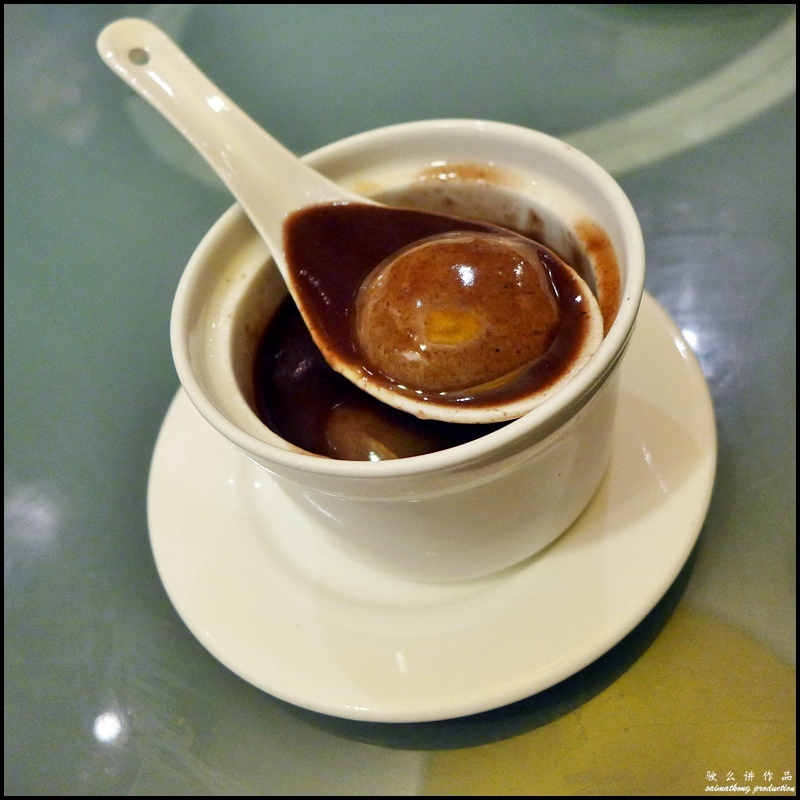 The red bean soup has grainy texture with a hint of dried tangerine peel taste and fragrance. 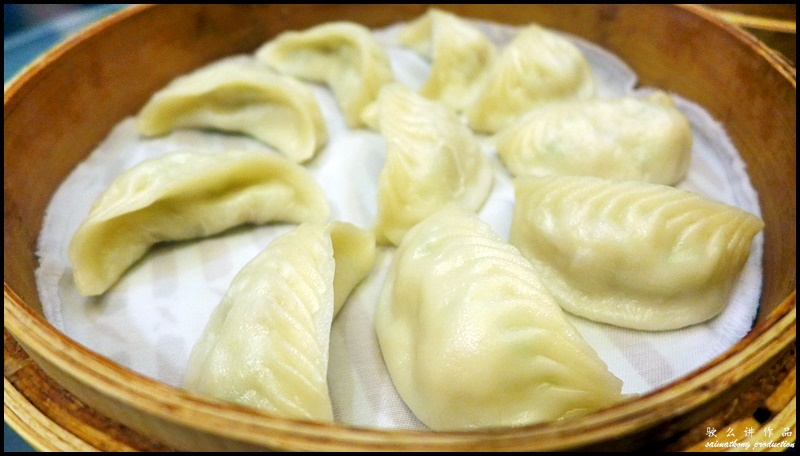 Glutinous rice dumplings which is also known as “tang yuan” are eaten during New Year cox it symbolize family togetherness. 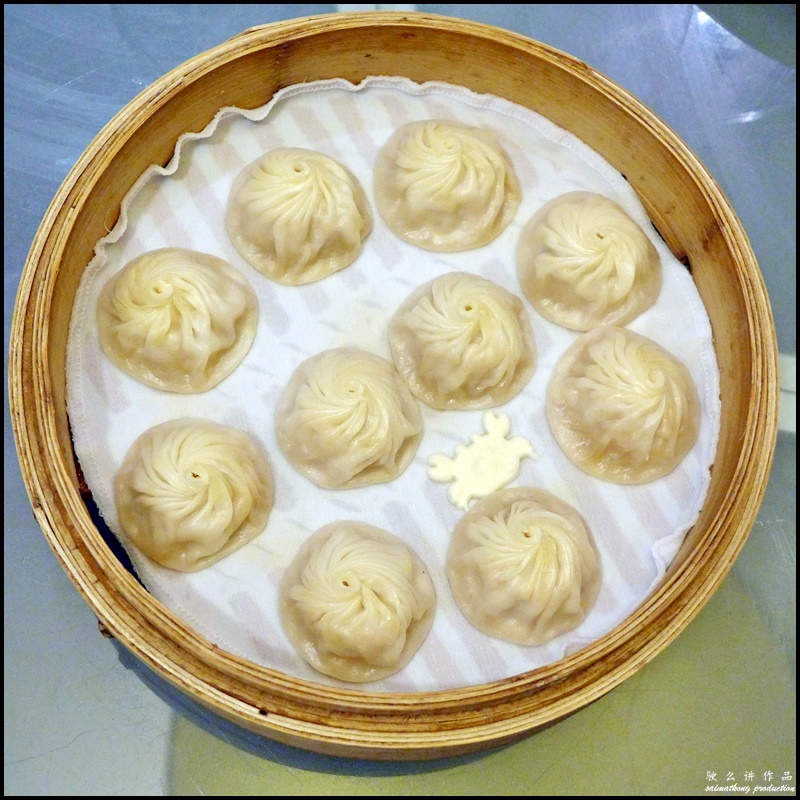 If you’re looking for a place to celebrate the coming Lunar New Year 2015 with your families and friends, you might want to consider Din Tai Fung. 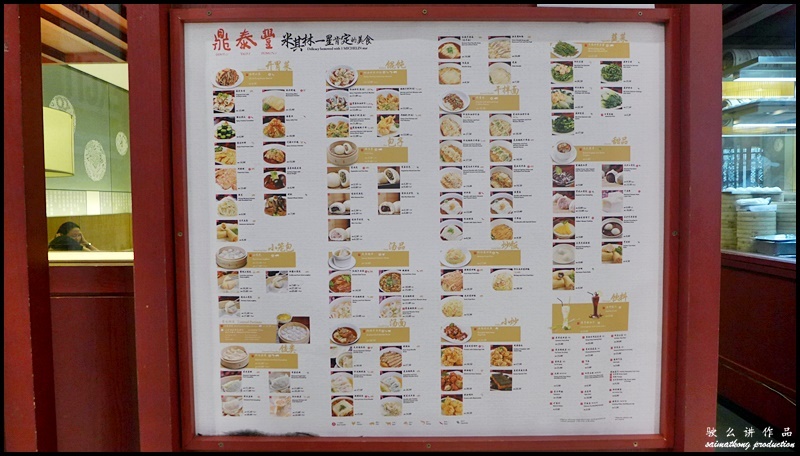 They have a few choices of New Year set menus featuring their signature dishes such as xiao long bao, shrimp fried rice, la mian, fried pork chop, prawns with salted egg yolk and more.